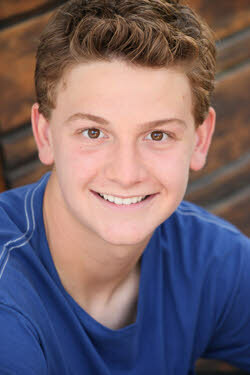 Austin Majors is an award winning, talented, young actor who has been in the public eye since he was three years old. He is immediately recognized as portraying 'Theo Sipowicz' on NYPD BLUE for seven seasons. Austin is just a joy to work with. The fun of working with him is capturing those special moments, things that he would do spontaneously became some of our best material. He never has lost his enthusiasm to be on the set. He just loves coming to work. He thinks of this as his playground and all of us as his older playmates! It is Austin Majors Day when he is here, he runs the show. But when he hears his cue, he gets a twinkle in his eye and he is ready to work. Austin received the 2002 Young Artists Award for Best Performance in a Television Series for his compelling work on NYPD BLUE. He was nominated for the same award in 2003 and 2004. His work on TREASURE PLANET earned him another nomination for Best Performance in a Voice-Over Role. When Austin is not in front of the camera, he lends his support to numerous charitable organizations.